TUCSON, Ariz. (AP) - The U.S. Fish and Wildlife Service has proposed protecting land in Pima County for an endangered aquatic turtle. 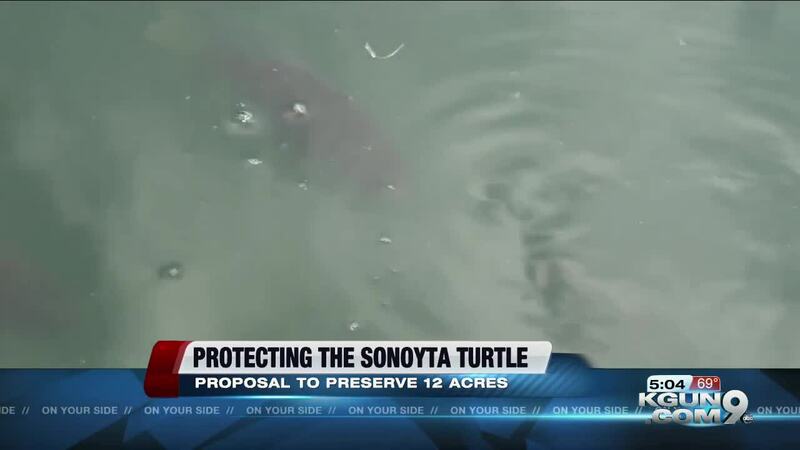 The agency says the designation of 12 acres as critical habitat is necessary for the survival of the Sonoyta mud turtle. The land is in the Rio Sonoyta watershed of Organ Pipe Cactus National Monument, the only area the turtles are known to live in the U.S.
Their habitat has been threatened by diversion of surface water, groundwater pumping and prolonged drought. The Center for Biological Diversity says legal action forced the Fish and Wildlife Service to issue the habitat proposal. It's set to be published Thursday in the federal register. The public has 60 days to comment. The turtles that have webbed feet also are found in Sonora, Mexico.